You are here: Home / Other Reading / Astrology Readings / What Is Indian Astrology? Jyotisha is known as the traditional Hindu system of both astronomy and astrology. In some cases, it can be called Hindu astrology, Indian astrology or Vedic astrology. Since the early 19th century, the term Hindu astrology has been used as the English equivalent of Jyotisha. Nevertheless, the qualifier “Vedic” is something of misnomer because there seems to be no mention of Jyotisha in the Vedas, and the historical documentation supposes that horoscope astrology in the Indian subcontinent was the Hellenic impact post-dating the Vedic stage. What is Vedic Astrology in general? In fact, Vedic astrology is known as the funny and meaningful study of the positions of the Sun, the Moon, Mars, and so on in respect of the Zodiac and its interpretations of the influence of these heavenly bodies on the events on Earth. Why is it called Indian astrology? One of the key reasons here is that the principles on what the study and analysis are made were firstly enumerated in the Vedas – the 1st treatise of olden Hindu philosophy. 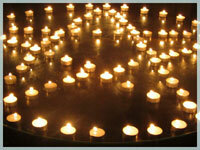 There will be 27 groups of stars in the path recognized by Vedic Astrology. 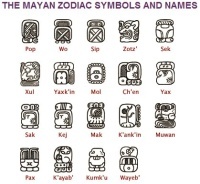 These wonderful groups in the imaginary road will be considered as Zodiac. Actually, this Zodiac will form the reference for fixing any position of any star or planet in the sky. Because it is surrounding the Earth, so it may be measured as 360° where 27 groups of stars are placed. As a result, each of them will have a span of 360°/27 = 13°20’arc. 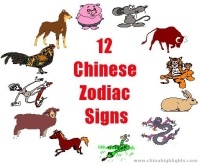 What do you know about Zodiac signs or Rashis? Once the Zodiac is split into 12 equal sections which have a span of 30°arc, each of these arcs will be described as the Zodiac sign. A specific group of stars named Ashwini in the Zodiac cycle is known as its starting point, and called the star number 1. Similarly, there will be individual names for the 26 group of starts. In general, Ashwini(1), Bharini(2), Krittika(3) shall be considered as the first 3 stars in the Zodiac. The first span of 30°arc including Ashwini, Bharini, Krittika constitutes the 1st Zodiac sign “Aries“. 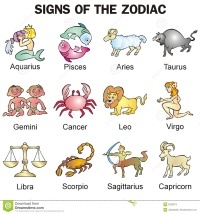 The following are the names of other Zodiac signs after Aries: Taurus – 2, Gemini – 3, Cancer – 4, Leo – 5, Virgo – 6, Libra – 7, Scorpio – 8, Sagittarius – 9, Capricorn – 10, Aquarius – 11 and Pisces – 12. Whether or not is it relevant to Astrology? According to Vedic Astrology, what shall happen to us in the life can be predetermined and based on the Karma of our past life. How about our free will? We suppose that 75% of what will take place to us may be what we are able to know via astrology, yet the balance 25% can be critical that we may create via our efforts. In the simple word, it means that we and our own efforts will control our destiny. Vedic astrology will give us a fascinating insight into our quest to shape our great destiny. 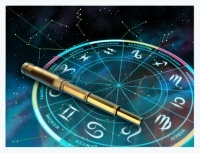 In short, Hindu or Vedic astrology is generally named predictive” astrology since our chart is often said to be more the map of our destiny (what shall take place) than of our potential (what we could select to make something happen with our free will). As a result, it is full of the surprising predictive techniques. It is better for us to find it out carefully before using. For entertainment, don’t hesitate to search some unpaid services on the Internet such as Online Free Vedic Astrology to discover various secrets around us and our surroundings including our personality traits, Zodiac sign, love life, health, career, etc. If you want to know further information about this subject “What Is Indian Astrology?” please leave your most concerns in the box below.